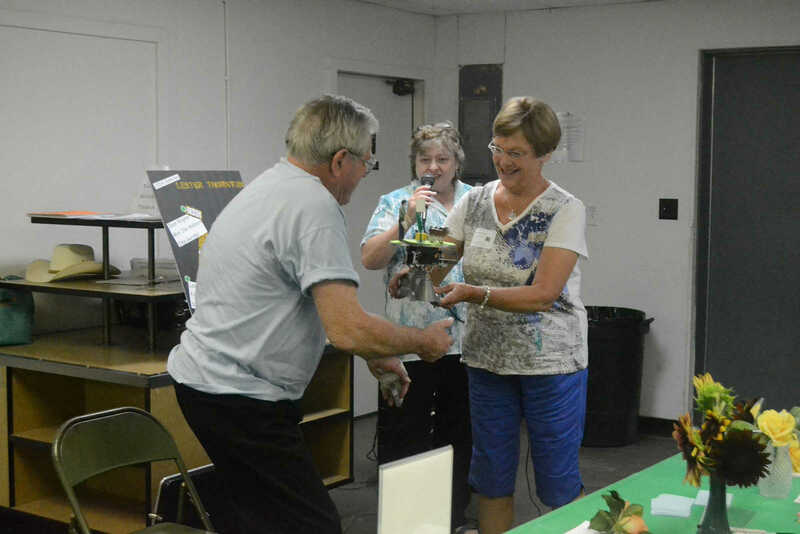 Vicki Dawson presents 2014 honoree Lester Thornton a decorated antique scale during the 4-H Alumni Reunion. 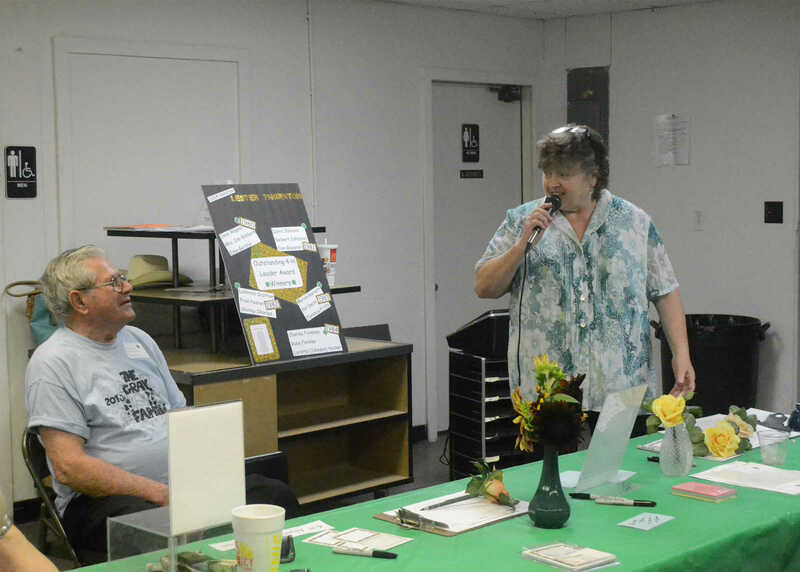 Phyllis Sprenkle gives a history of 2014 Honoree Lester Thornton at the 4-H Alumni Reunion. 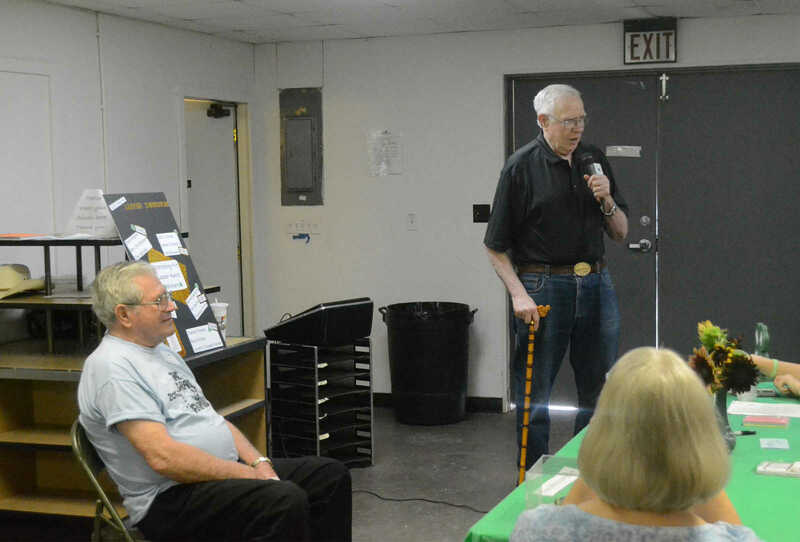 Leonard Ernsbarger commends Lester Thornton on his service to 4-H families. 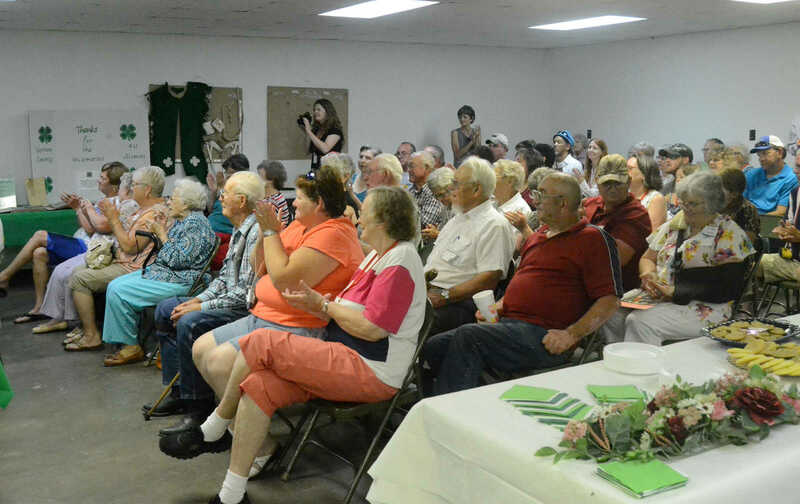 The 4-H alumni reunion attendees clap for 2014 honoree Lester Thornton.